In March IMW attended the 2017 Search Marketing Expo (SMX West) conference put on by Search Engine Land in San Jose, CA. The conference had multiple seminars on SEO and SEM best practices and rising trends with some of the industry’s most influential journalists and gurus. 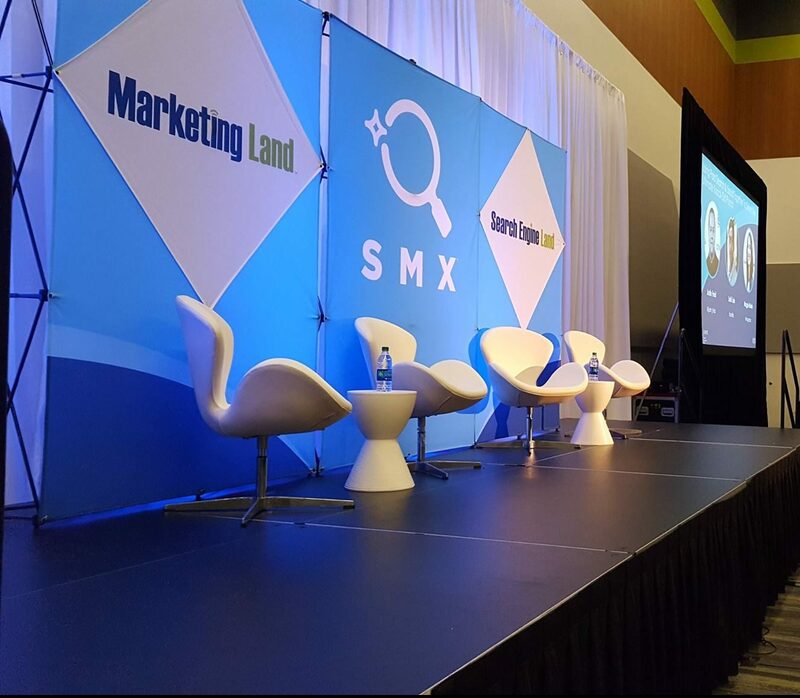 Below is a recap of some of the important topics and insights that were covered at SMX West. Exact match will now match queries with additional rewording and reordering of your keywords. So a search for “flights from LAX to JFK” might match the keyword “flights for JFK to LAX”. The problem here is this query and the keyword it matched to have vastly different intents. It is not yet determined whether or not Google is working on an algorithm that recognizes intent. You can combat some of the issues that may arise with this exact match change by doing an in-depth keyword analysis on all of your accounts. Try to find any instances where intent changes when your keyword order changes, and add those as negatives if needed. Also, ensure that you are investing in phrase keywords in addition to exact keywords, as this close variant updated is only applicable to exact keywords. All digital marketers can agree that your messaging should remain consistent across channels. However, keeping your message consistent, and keeping your message the same are two very different things. This idea is important when building creative for your paid search and social efforts. You need to first recognize the intent of an ad when served on social media versus the intent of an ad served on search. As one panelist put it – potential customers will search on Google when they are looking for an answer to a question; potential customers on social media aren’t looking for anything at all. While you must keep your message consistent, it must also apply to where the customer is in the buying funnel. Forrester Research found in a study that it takes an average of 7-13 touches to deliver a quality sales lead. Someone is far less likely to convert after being served an ad while scrolling through social media – but that might be the first touch point for them. This might be the start of the funnel, with search being very close to the end of the funnel. So does it make sense to have the exact same message for paid social and paid search? No – but as a brand, it is important to keep the overall messaging tone consistent. For years we have been talking about the switch to mobile. More and more people are using their mobile devices for search, whether it is at home or on the go; and if you are not utilizing cross-device conversion tracking on AdWords and Analytics, then you are missing out on optimization opportunity. Cross-device conversions track when someone interacted with your ad on one device, and made a conversion on another. This is important because without cross-device conversion tracking, you could potentially be missing out on data that can help determine what is and is not working in your account. Also, it is important to remember that, like stated earlier, it takes an average of 7-13 touches to deliver a lead; and those touches can occur across multiple devices. Attribution is a tricky topic. It is such an important tool to know and know how to use well because without it your data can be manipulated to your detriment. To put it simply, attribution is exactly what it sounds like – how conversions or sales are attributed to marketing channels. At the Learn with Google seminar, attribution was broken down very simply – all attribution is wrong, but last-click attribution is “most wrong” and the time decay model is the “least wrong”. Last Interaction – whatever the last touchpoint was before the conversion gets the claim for that conversion. This is the “most wrong” because it gives zero credit to all the other touchpoints that happened before it. Credit needs to be given where credit is due. Last Non-Direct Click – whichever channel the customer clicked through last, with the exclusion of direct, will get the credit for the conversion. Once again, this does not give credit to all the touchpoints that happen prior to that last click. Last AdWords Click – the first and only click to the AdWords channel would receive 100% of the credit. Obviously, this one only gives credit to AdWords. So if someone clicks an AdWords ad first, but then clicks on an email blast, a social media post, and then converts directly, the conversion credit goes to that AdWords click. First Interaction – the first touchpoint would get claim for the conversions. This isn’t accurate because the first interaction is usually so high in the conversion funnel that the customer might not even be in market yet. Linear Model – each touchpoint in the conversion path would share equal credit for the conversion. Now, this one is interesting, but some touchpoints obviously are not as influential as others. Time Decay Model – whichever touchpoint is closest in time to the conversion get most of the credit, but not all of the credit. Any touchpoints that happen days or weeks before the closest touchpoint will get less credit, but some credit. Now, this is the attribution model Google recommends because it gives a bit of credit to all of the touchpoints, but it based on when the touchpoint occurred. This makes the most sense based on the idea of a conversion or transaction funnel. Position Based Model – 40% credit is assigned to each the first and last interaction, and the remaining credit is distributed to the middle interactions. This one does not quite make the most sense because it gives equal credit to the first and last interaction; and the first interaction hardly has the same amount of influence as the last.